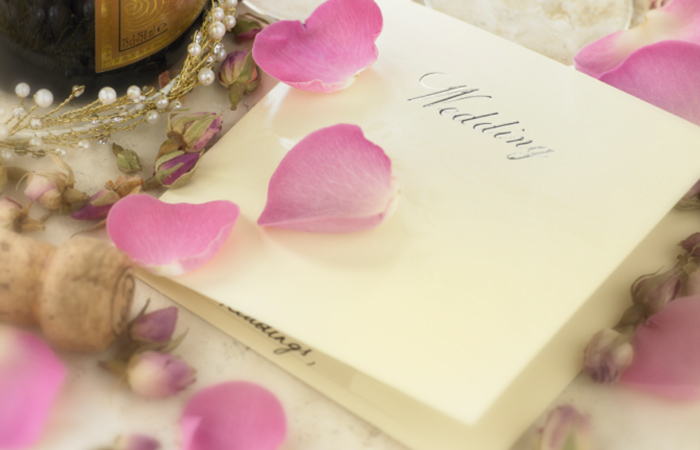 It often happens that couples do not know how to properly manage their time prior to the wedding: how soon the date must be chosen, which wedding documentation are needed to get married, etc. Of course, there is no one single answer, since everything depends on the couple in question: the minimum amount of time needed to organize a proper reception is about four –to six months. What is clear is that, the more gorgeous and impressive the wedding, the more time that will be required to secure the resources for the decorations and accessories. The only date that gets set a year in advance is that of the ceremony, from which point we can start all of the preparations. As for the documents that you will need for the wedding, you will have to present the State Office of Civil Marriages your IDs. If the fiances are unable to be present, it is possible to send a third party who can, thanks to a proxy, can carry out the paperwork their stead: the important thing is to have a copy of the identification documentation. The city officials will prepare the documents, with the IDs of the betrothed and then the place where the wedding celebration will be held. The papers will be shown for eight days at the door of the Town Hall of the municipality of residence of the future husband and wife. Three days after the completion of the paperwork, the State Civil Office will release a clearance for the wedding which should be held within 180 days following the expiration of the documents, under penalty of forfeiture of the documents’ validity. For religious marriages, the times broaden a bit, and the civil and religious documents (baptism certificate, confirmation certificate, state ecclesiastical endorsement for those who visit from other dioceses in which marriages occur at least one year after the age of 16), should take pre-matrimonial requirements into consideration. Once the consent has been obtained from the parish, the religious documents will be affixed for eight days (including two Sundays) at the parishes of the two fiances. Once the eight days have elapsed, the parish will release the certification documents, which can be presented to the municipality for civil purposes.